I know, you forgot about the W12 Audi A8, too. I don’t blame you. 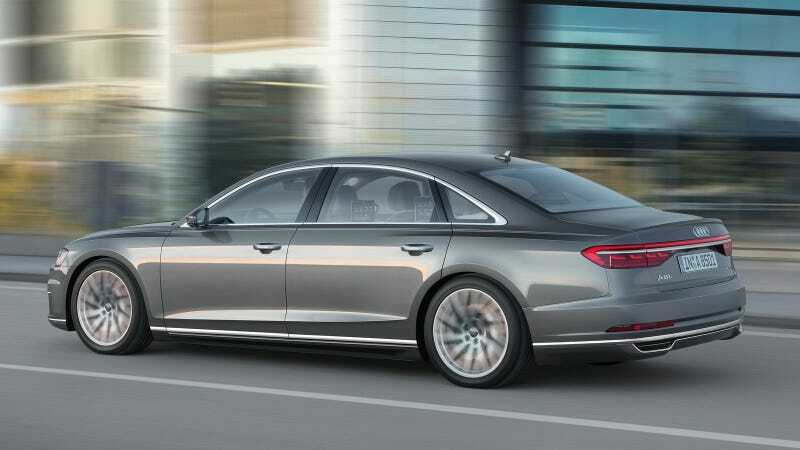 I actually forget that Audi A8s are a thing in general on most days. But the the W12 option made them cool, even if you couldn’t get the current-generation A8 with one here in the U.S. But it seems like that’s coming to an end anyway. Volkswagen Group has slowly been phasing the W12 out of its cars for years. You used to be able to get W12 engines in the Volkswagen Phaeton and Touareg and a few Spykers. The Audi A8 was another, but now that it’s going away, all that will be left are the W12s in the Bentleys. Those probably won’t stick around that much longer, either. And sure, 12-cylinder engines are cool, but smaller engines with forced induction have them beat in pretty much every way objectively possible. I’d wager, right here and now, that people only buy things like V12 Mercedes-AMG models just to say that they have a V12 engine. Regardless, W12 engines are neat. I’d be lying if I said that I wasn’t a little upset that they’re dying out.